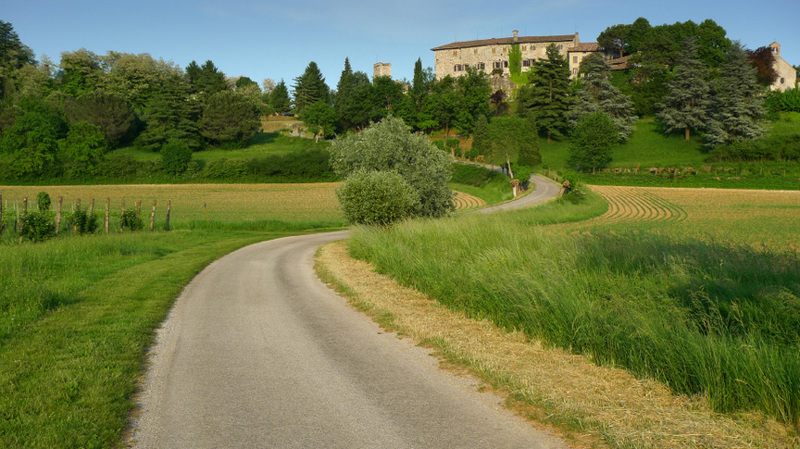 Friuli-Venezia Guilia is a relatively narrow strip of land that served as a vital outpost during the hey days of the Roman Empire. Later on when the Gauls invaded, Aguileia was used as bastion during the invasion. With the arrival of the Huns came the fortification of the town and the establishment of Grado town. For centuries, this region remained independent until it was conquered by Austrian Hapsburgs. Afterwards, Trieste became a free port hence opening up this narrow strip of land to cosmopolitan growth. Historically, the origins of Friuli-Venezia Guilia can be traced to the Roman Forum lulii (the origin of the name Friuli) which was the initial capital of Lombard Dukedom. When the Franks arrived, the church of Aquileia became the center of focus leading to the establishment of the patriarchate of Aquileia in 1077. Its independence prompted the re-organization of Guilea and other regions into free city states. In the 15th century, Friuli was administered by Venetians while Gorizia and Trieste by Austrians. Continued economic prosperity in Trieste and its unification with Italy led to the establishment of Friuli Venezia Giulia and subsequent granting of autonomy through a special statute in the 20th century. The end of World War1 left the region in ruins with extensive structural damages and loss of lives. Even though the destiny of these borderlands was once again united, Venezia Guilia still exuded contradictions. It was only after World War 2 that the borders were fixed through the Memorandum of London in 1954. The unification of Italy with Trieste in Italy led to the establishment of the autonomous region of Friuli-Venezia Guilia. Currently, Friuli-Venezia Guilia is one of the five regions with autonomy under a Special Statute in the Italian constitution and its capital is Trieste. The attraction of this bustling northeastern extreme of Italy arises from the presence of rarely visited warm sandy beaches, snow capped mountains, lagoons with water birds, Roman ruins, busy international sea ports, palatial country villas, remote alpine hamlets and panoramic fishing villages. With all these endowments, it can be argued that Friuli-Venezia Guilia is undoubtedly the most versatile region in Italy. Friuli-Venezia Guilia is mostly a flat landscape mapped by the Tagliamento River, morainic amphitheater, Adriatic coastline, Carnic Pre-Alpine regions and Julian Alps. 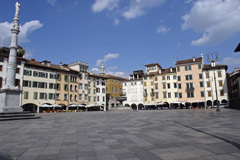 The main cities; Trieste, Gorizia, Pordenone and Udine are remarkable masterpieces. Moreover, Aquileia, Grado and Cividale are extremely rich in Roman and Byzantine style architecture. The Basilica of Aquileia is one example of buildings with a distinct Romanesque Gothic style. For a more comprehensive historical walk through Friuli-Venezia Guilia, the Rovoltella Civic Museum in Trieste hosts a rich collection of 19th and 20th century sculptural and pictorial works of great artists. The Civic Museum of Risorgimento reviews the path of Trieste’s struggle for freedom and autonomy while the Civic Museum of Art History holds a remarkably comprehensive archeological collection spanning from the Paleolithic Age to the Roman Age. More archeological collections, coins, jewelry, paintings, ceramics, and sculpture can be admired at the Civic Museum and the Galleries of History and Art and the Civic Museum of Pordenone. For tourists, a tour of Friuli-Venezia Guilia is incomplete without a detour to Gian Grotto situated near Trieste. Cast in the panoramic view of the sea are the Miramare Castle, Sistiana and Duino bay. The Miramare Castle was built by the Maximilan of Austria in the 19th century. This is the same region where tourists sample delights of the alpine region of the Carso Valley with its picturesque hill towns just overlooking Austria. The port of Trieste, capital of the region of Friuli-Venezia Giulia, lies on the Gulf of Trieste, in the northeast corner of the Adriatic and is an important port in the Adriatic. As a border town, its economy depends on the port and on trade with its neighboring regions. Trieste is a lively and cosmopolitan city, and is also Italy and the Mediterranean’s leading coffee port. 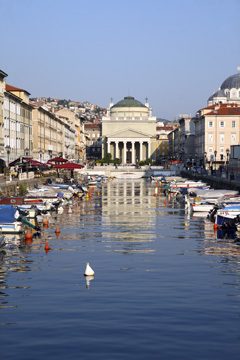 Trieste is home to Illy Caffe. The provincial capital of Gorizia, at the foot of the Alps and bordering Slovenia, is a local center of tourism, industry, and commerce. The old town lies around the castle on the hill, while the newer district adjoins the station. Gorizia is renowned for the production of outstanding wines from the Collio hills. 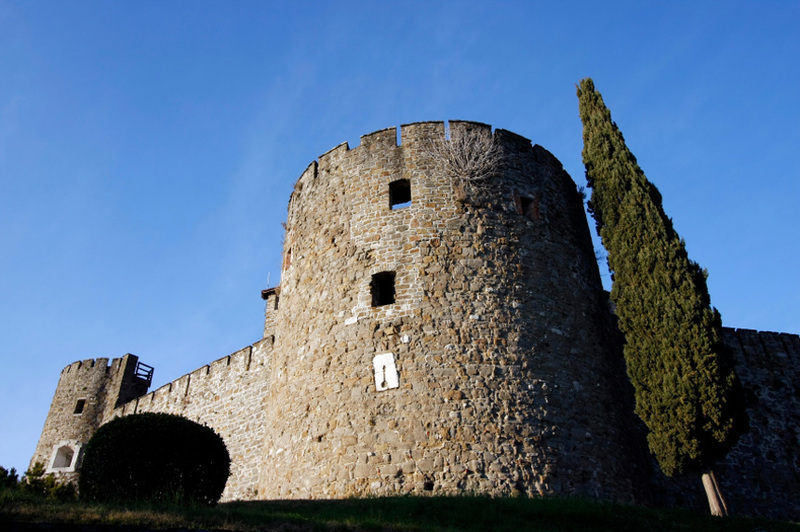 Being sheltered from the north by a mountain ridge, Gorizia is protected from the cold Bora winds. Thus the town retains a mild Mediterranean climate throughout the year, making it a popular resort. The westernmost of Friuli-Venezia Giulia’s three large towns, Pordenone was once a thriving river port. It is now the region’s main manufacturing center and as such not much of a tourist destination. However, the historic center is carefully preserved and well worth a visit if in the region. Udine is the second city of Friuli-Venezia Giulia, but gaining ground on Trieste, especially when it comes to being a tourist destination. 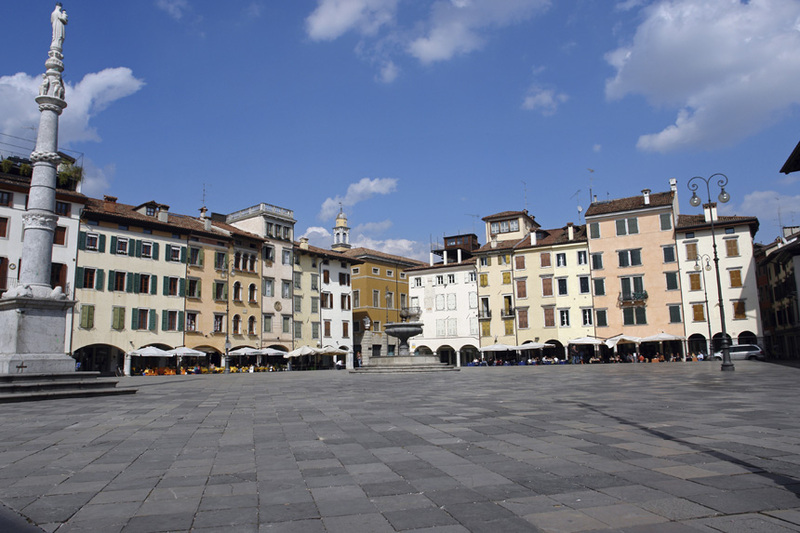 Udine has far more attractions including galleries, fine churches and well-preserved historic buildings around Piazza Liberta.